If you’ve always wanted to explore Alaska, this summer just might be the perfect time to put your plan into action. Today it is easy to find a wealth of cruises that offer a chance to experience all the culture, beauty and natural habitat Alaska has to offer, while creating memories that will last for a lifetime. Imagine viewing humpback whales, glaciers, mountains and exotic wildlife. These are just a few of the many exciting things you will find if you venture to this part of the country. Just keep in mind that such a trip generally comes with a high price tag. However, some cruise lines are currently advertising reduced rates, making such an extravagant journey much more affordable — at least for the immediate future, anyway. Many of the major luxury cruise lines offer Alaskan itineraries that provide a unique opportunity to explore all of the best and most scenic highlights. These typically last for a week to two weeks, and often depart from a number of destinations, including Seattle, Vancouver and San Francisco. Whatever one of these or the other locations you select for your starting point, just remember that you will need to include the time and expense to get there into your overall budget and plan. How about spending your days taking part in a safari in Anchorage, then touring Denali Nature Park where the mountains meet the sky in the most dramatic style? You can also wander down the paths of remote villages that have been untouched by time. These and a variety of other tours can be booked either through the cruise line or through your travel agent directly. While such excursions are usually an added expenses, they are usually well worth the investment so you can see the region in its natural setting. With more people watching their pennies today than ever before, if you want to plan a trip to Alaska, you will likely want to do it in the most budget friendly way that you can. Here are some things that you can help you to navigate the wide range of choices and prices you can find something you can afford without having to sacrifice your ideal time. First of all, remember that generally the larger and the more luxurious the cruise liner, the more you can expect to spend for your trip. In addition, the number of ports you will visit will also affect the bottom line. Stopping at fewer ports is a more economical move, but will also cause you to miss some great opportunities, too, so be sure to weigh the cost against what you will get in the end. If you don’t need a private experience but first-class amenities do make a difference to you, a luxury cruise liner is likely your best fit. This is typically a large ship that can hold several thousand passengers at a time, and feels like a big city at sea, complete with movie theaters, fitness centers, big name entertainers and multiple bars, restaurants and other dining options. Just remember that these details will add to the overall expense. If you want a luxury cruise experience without paying the first-class price, the experts offer this tip: select a small cabinet on an inside corridor. This will be considerably less expensive than larger rooms that feature scenic views. You can also alter your departure time to get the best buy, since the very beginning, or very end, of the season, can be more reasonably priced. When you picture Alaska, you may conjure up images of snow, ice and darkness. This is indeed what you would find if you traveling to Alaska during the winter months. But the warmer summer season offers warmer travel conditions and days filled with many hours of light. That’s why most cruises are planned from late spring through to early fall. Keep in mind that the heart of the summer will generally offer the highest temperatures (reaching to about 80 degrees in July and August), longest hours of daylight (with Fairbanks experiencing daytime for 20 to 21 hours in May, June and July and the other cities coming in not far behind) and will provide you with the most pleasant experience overall. Some of the mainstream cruise lines that travel to Alaska include Carnival Cruise Line, Celebrity Cruises, Cruise West, Crystal Cruises, Holland America Line, Norwegian Cruise Line, Princess Cruises, Regent Seven Seas Cruises and Royal Caribbean International. 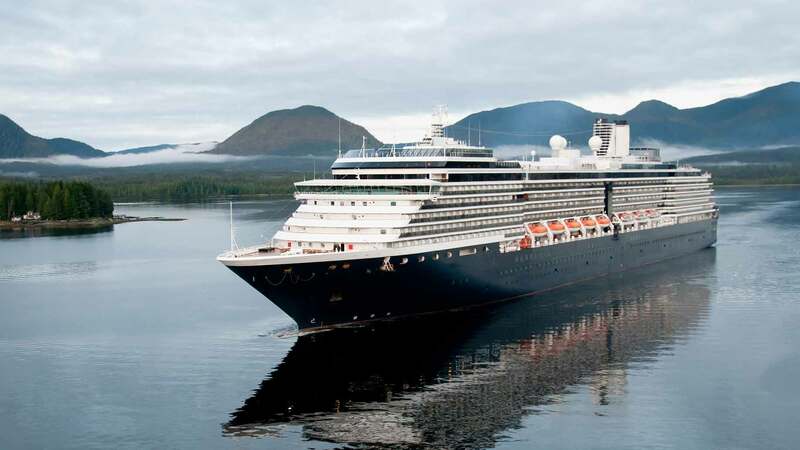 It is worth noting, however, that recent regulations regarding docking in Alaska, as well as the high price of doing business in this neck of the woods, has caused some cruise companies to reconsider this destination, so availability to this area may become more limited in the next few years. A week-long Princess Cruise starts at $500, while an 11-day option with the same line is priced at $899. Silver Sea Cruises has a $500 per person rate for its small cruise ships and is offering onboard credits to further entice people to buy. If you want a first-class trip, Regent Seven Seas is giving half off its fare for passengers who book its luxury cruise in advance. Some of its trips also come with free airfare and offer a no-charge option for kids. The bargain price per person starts at just under $3,200. While can find a deal starting at around $500 (which is down from about $800 last year), the experts point out that a typical average room runs about $1,000 or more. And a fancier room with a veranda overlooking the water can start at between$2,000 and $3,000 and go on up from there. Often, all of the food is included in your fare, but alcoholic drinks are often extra, which can greatly jack up the price so be prepared. Further, while a general rule of thumb is that the smaller ships are more economical and larger ones more luxurious, this isn’t the case across the board. Some of the smaller ships also offer a very exclusive experience and these also cost considerably more than a more commercial option. Some of the smaller, but luxurious, cruise ships can charge anywhere from $2,000 to $6,000 for up to two weeks time. Finally, if price is no object, you can go all out for a special cruise on the Clipper Odyssey, which offers a hands-on experience that allows you to travel down Alaska’s Inside Passage (which is too small for the larger cruise ships). This cruise is particularly hands-on and educational. These facts, coupled with the world class service and made-to-order meals passengers get, help make the starting price of about $9,000 per person easier to digest. The price range goes on up to about$17,000 for this unique experience. The Bottom Line: Cruises to Alaska can run the gamut from $500 to $17,000 depending on what you see and what you will get. Port fees and taxes can cost up to $250 a person. Be sure to find out if these are included in your price or will be an extra cost. Land tours can cost up to $400 each, depending on what you will do and see. You can also add a longer excursion (for up to a week), which can set you back another $1,000 to $1,500. Passengers are also expected to tip cruise line staff. This can average about $10 a day, unless this expense is included in your overall price. Don’t forget to add in the price for getting to and from the location where the ship starts and stops. This can be an expensive task, so you will want to price out your air fare or other transportation up front. Also find out if entertainment, special activities and food are included in your ticket. On most of the better luxury ships this is typically the case, but some of the more mainstream cruise lines charge these details separately, which can add significantly to your price in the end.